Delicious food served with premium cutlery adds to the appetite and makes for a yummy delicious dining experience. Add the desired luxury to your home by intricately designed cutlery and stunning flatware and make your guests breathe in the exotic ambiance. A good host always heeds to their service especially when it comes to fine dining. The designer and stunning range of table decor at FnS is sure to bring the wow factor to your dining table and pour down accolades from the guests. FnS brings forth unique and exclusively designed flatware and cutlery which will make room for the best-in-the-industry dining materials in your home. You always wanted to bring sophistication and grandeur to your dining area, isn’t it? You can now accomplish this with elegant tableware from FnS which will speak volumes of your choice and personality. Fine dining is becoming an important aspect of hosting and you would surely want to stand out for it. Gold-plated flatware and cutlery make the dining area ooze an extravagant lifestyle sure to leave a lasting impression on your guests. In fact, FnS also offers stainless steel copper colored matt finish cutlery which will definitely speak about your excellent hosting ethics. Hosting is not a piece of cake and a lot goes into making the dining experience for your guests up the notch and with FnS you can do this with perfection. We all give extra care and thought to the menu for the big night but often tend to overlook at the table decor. But not this time, not ever now. With FnS at your assistance, you are sure to host every party, every gathering in the most luxurious style ever. Be a splendid host to your loved ones and leave them spellbound. Finely designed and polished cutlery adds dollops of creativity and brightness to an otherwise drab room, in turn, making the entire culinary experience one of a kind. 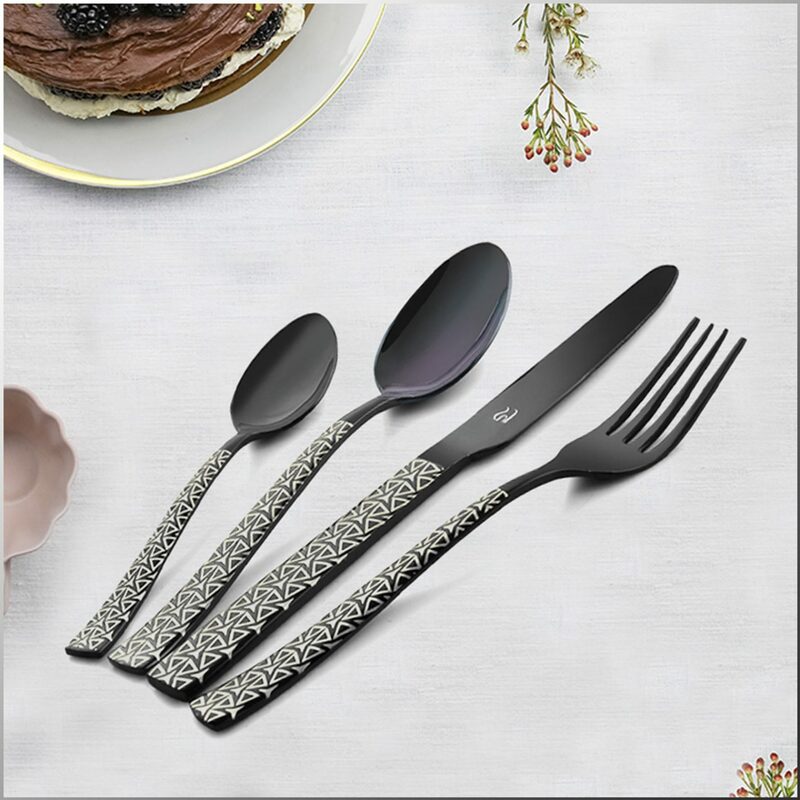 From silver finish cutlery and flatware to matt finish products, FnS takes extra care in offering its customers the best of fine dining not once but every time they use the high-quality products for table decor. Buy from the exclusive culinary collection at FnS this festive season and showcase a lifestyle dipped in opulence. Premium dining sets are making a style statement and it’s time you add this feather to your hat too. What’s more surprising is that every product though oozes elegance and luxury comes in extremely reasonable price, which means you will not be burning a hole in your pocket but only adding the desired touch of luxury. FnS has a wide range of premium and highly durable table decor products which make its flatware worth investing in. You don’t buy fine dining sets every now and then, so invest in these. It’s not every day that you throw a party, so let’s make the most of it, shall we? It’s time to up your hosting and bring your guests to a memorable dining experience. Hope you don’t get tired of bagging compliments which would come your way for your excellent and warn hosting.